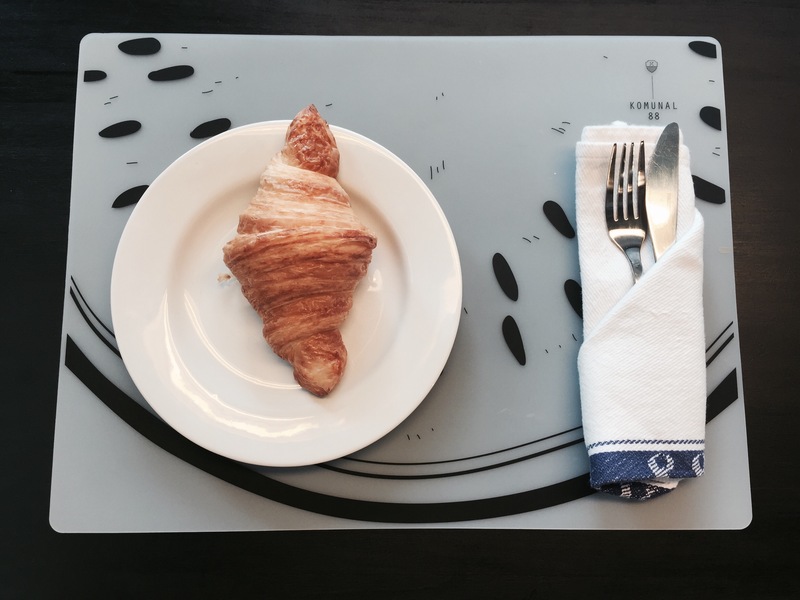 Last week I received an invitation through this post to visit a newly opened Cafe in Kemang area called Komunal 88 Cafe Market – to try their Croissant. Since I am a self-proclaimed Croissant enthusiast, I decided to visit the Cafe last Saturday! When I arrived, I was greeted by a friendly waitress by the name of Agustina and she showed me around the cafe before I got seated. 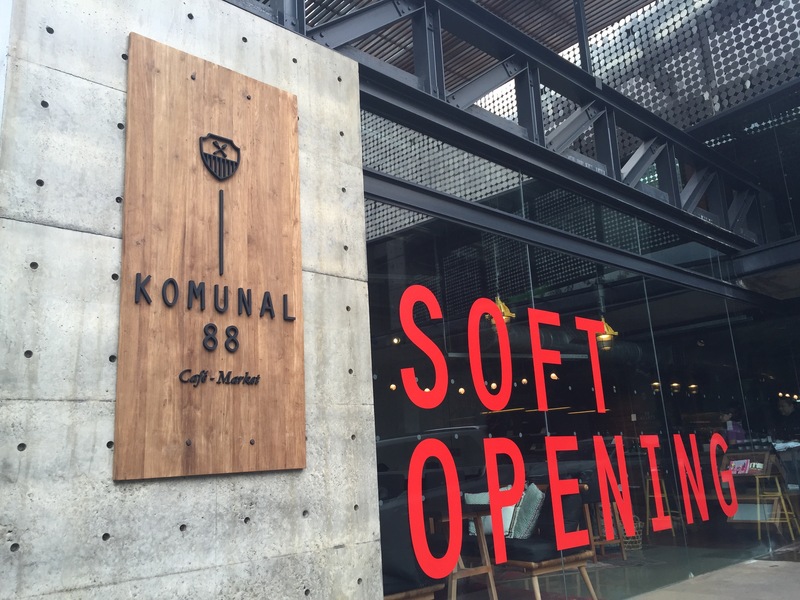 As you can see, Komunal 88 is still on Soft Opening period, she said that they still don’t have a complete menu. 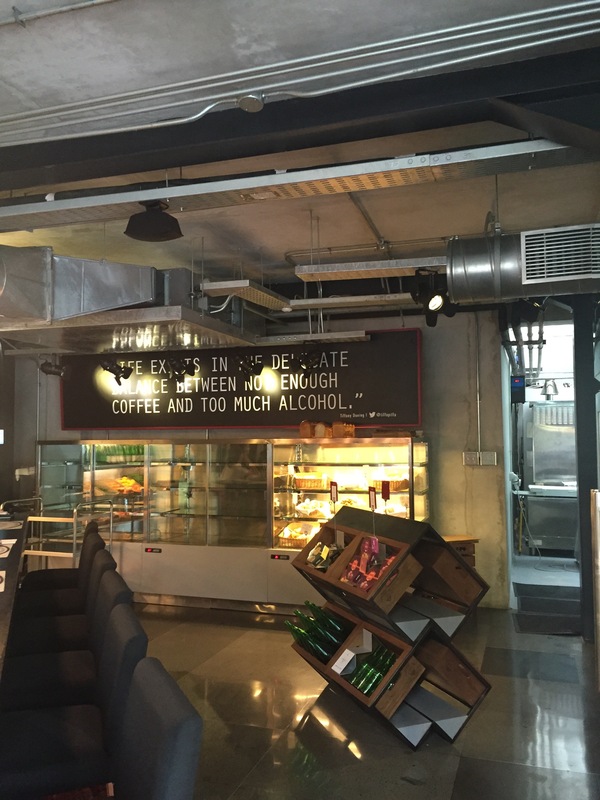 But since I came there for the Croissant, I did not give too much of attention to the menu. I loved what I saw. The cafe looks sleek and modern but at the same time comfortable. I can imagine spending time here to work or simply hanging out with my family or friends. Since I came there for brunch at around 10 AM, I also saw that most guests besides myself were expat families. Okay, let’s talk about the Croissant now. 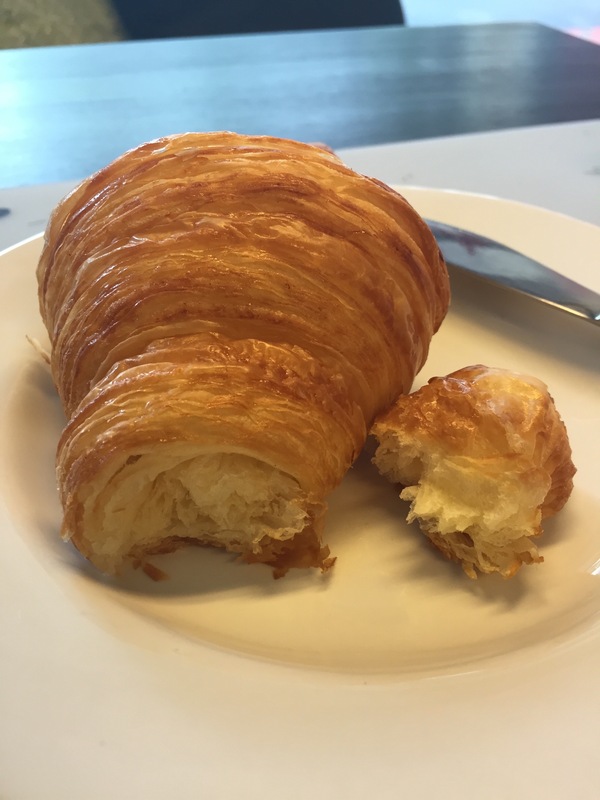 The Croissant (70 gr), is priced at IDR 12.000. I think the price is reasonable, judging by the size. I was intrigued to have a bite the moment I saw this lovely bunch! Soooo tempting, right? 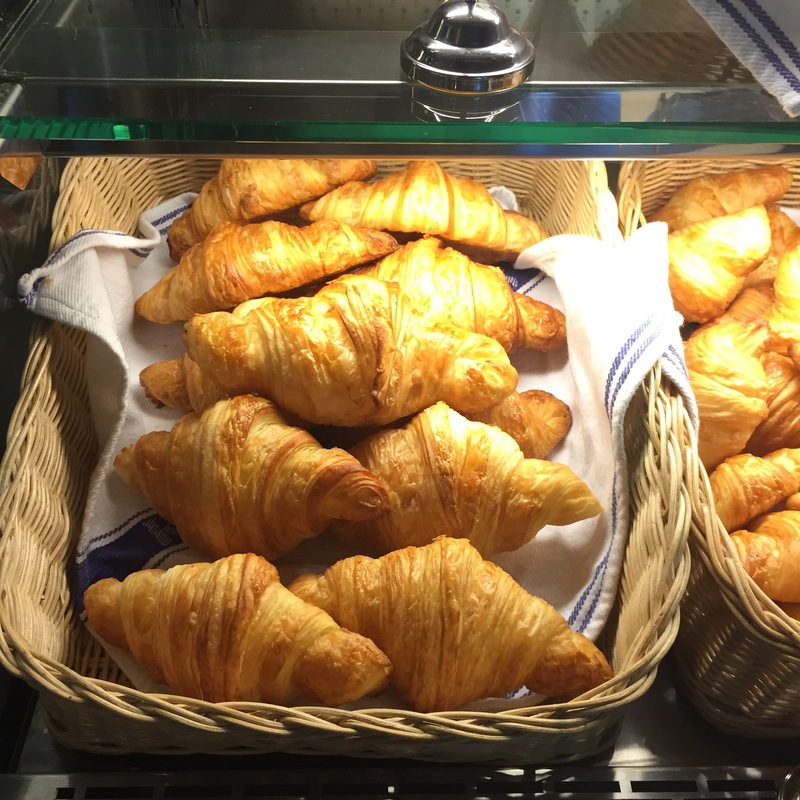 The croissant (and all bakery items, for that matter), are baked fresh daily. No wonder it looks so tempting. As much as I like that they take quality really serious, but I could not help but wonder about the taste. Is it the kind of food that’s only pretty but not that delicious to be eaten? Of course not! I hope my pictures can do the justice, but the croissant is so good! It’s definitely one of the best croissants I’ve had in Jakarta. It has the prefect golden color, showing that it was perfectly baked. It’s crispy on the outside – that crispy, you know when you chew it, you can hear yourself crunching. BUT, it has a moist and fluffy filling inside, making it so chewy at the same time. OH-SO-GOOD! I give it 5 out of 5 stars for price, appearance, and of course – taste. Moving on, I spent a good 2 hours in the cafe. While I was there I actually finished some blog post drafts, hehehe. Of course, I also got to try their other food and drinks in addition to the croissant. 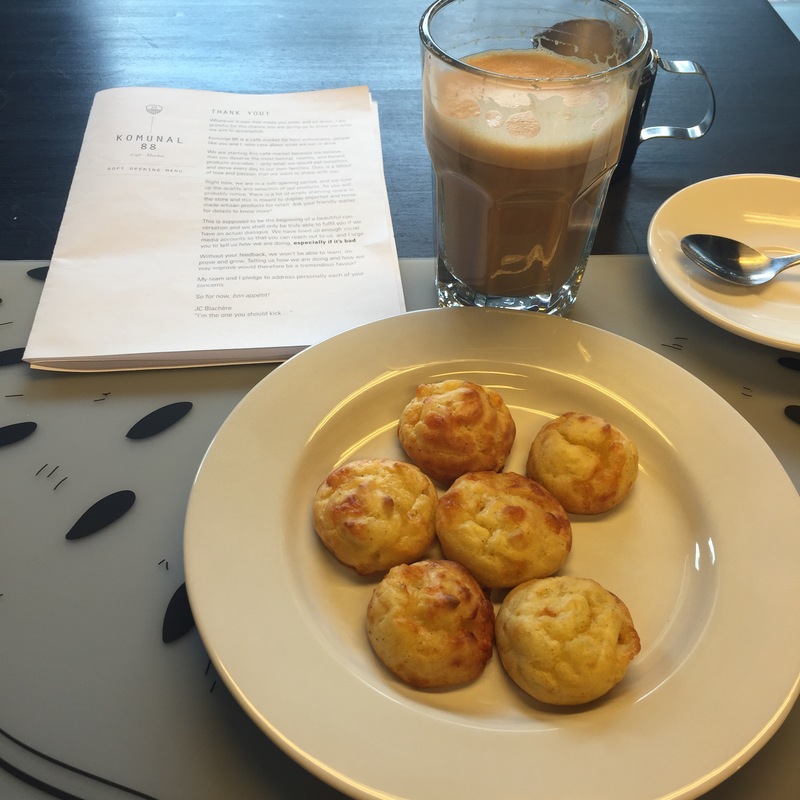 First, I had a portion of Parmigiano Puffs (IDR 15.000) and Flat White (IDR 40.000). While Flat White is self explanatory (it tasted good, for sure! ), Parmigiano Puffs is a unique to me because that’s the first time I had one. Translated literally it is a cheese puff, a bit like choux, with apparent cheese taste. I think it’s the perfect nibbles. Then as I was thirsty, I asked for another drink. 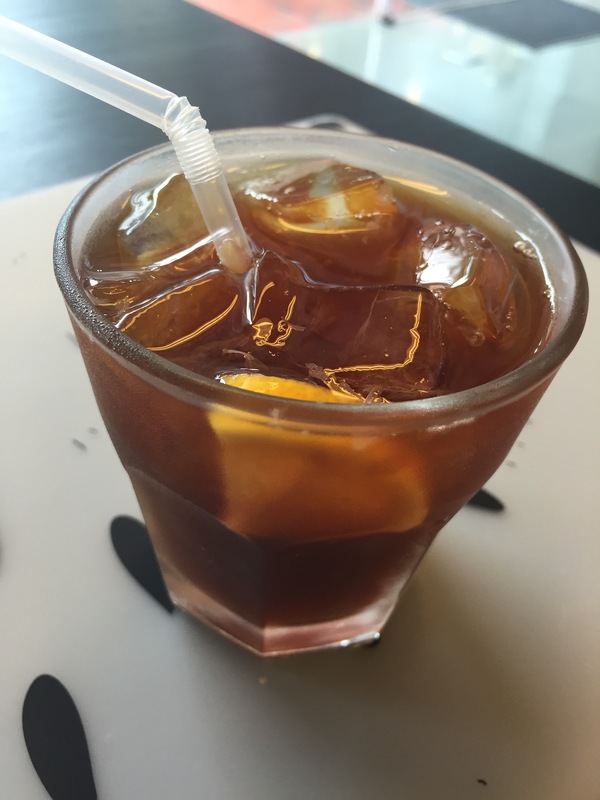 My waiter recommended me to try their Black Lemon Coffee (IDR 35.000). It was described to have a strong lemon taste, making it fresh, but with a taste of coffee at the same time. Sounds interesting, right? When I tried it, the description I was told was true! It is a unique drink, giving you a fresh feeling plus a delicious taste of coffee. Perfect for a hot afternoon. 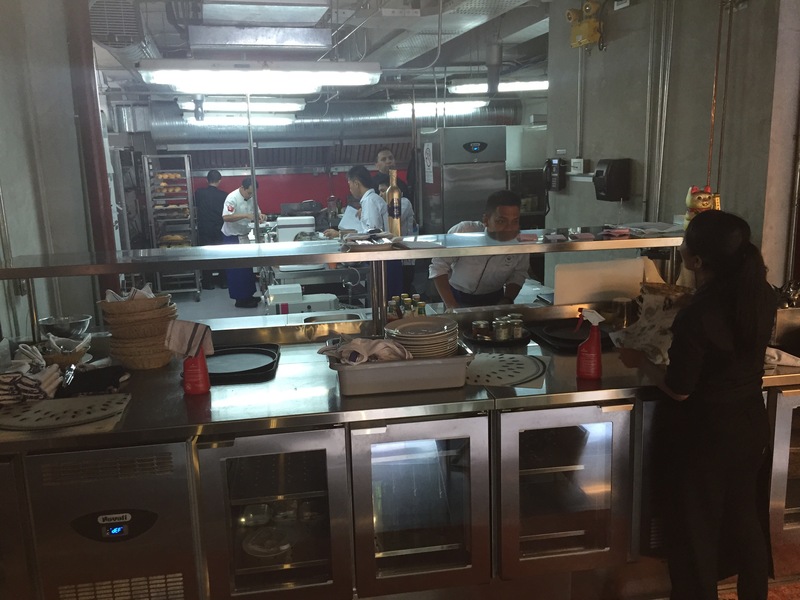 So far I’ve told you about the food and drinks that I had – all delicious and beyond my expectation. What I also love about Komunal 88 is that they are very serious in everything that they do. Like how they sell merchandise – but not ordinary ones. All are nicely designed, plus with a good cause. Like the tumblers, for example. It’s meant to reduce plastics, and every time you buy a drink with the tumbler for takeaway, the drink will be half-price. Oh, another interesting fact – Komunal 88 also adapts an old Italian custom – Suspended Coffee. 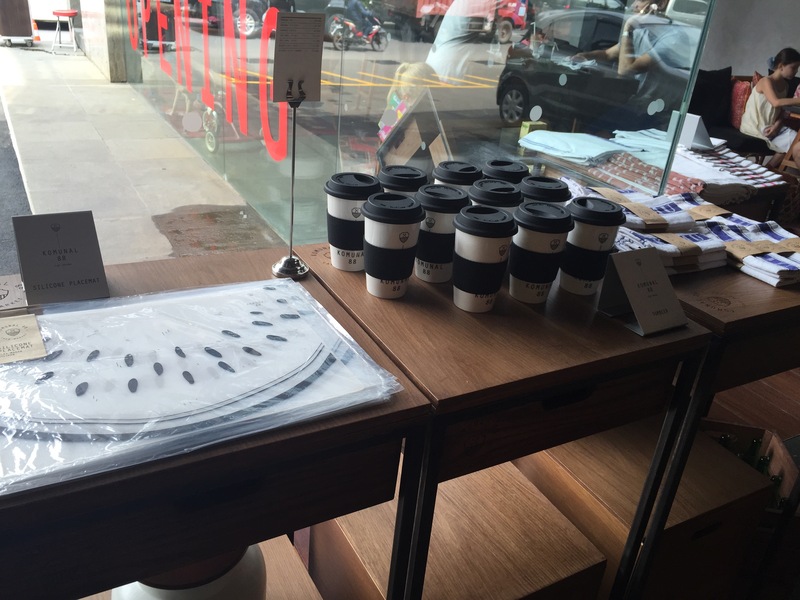 Whenever you feel like doing something good for others, buy a cup of suspended coffee (or water/bread) here and it will be given to an anonymous after you left. 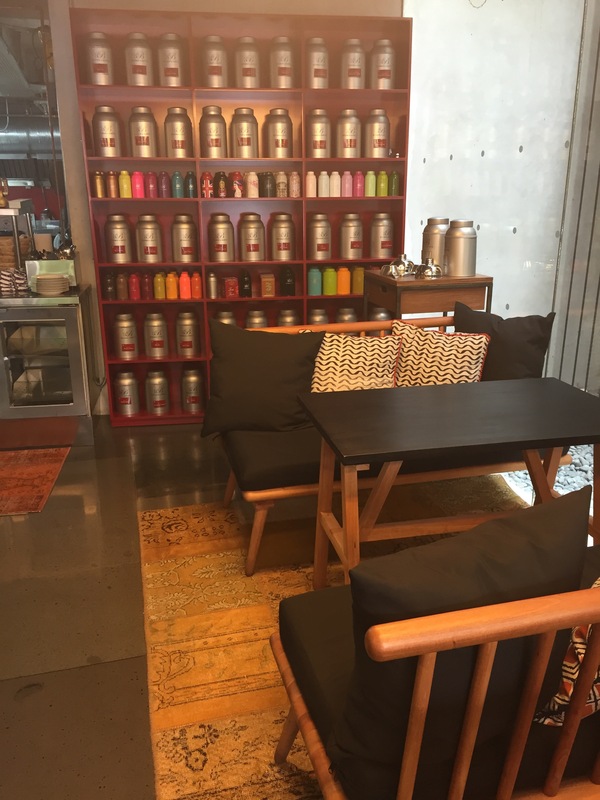 When you are in Kemang area, don’t forget to pay a visit! Have a great week and stay safe, fellow Jakartans! Err.. did you buy a suspended? If so, I’ll get there right up! Next Next post: Meet Candy, not your average girl.